NEW YORK, United States — Jessica Ferro recently ordered $200 worth of makeup from Sephora’s online app — and then waited a month for it to arrive. Despite conversations with multiple customer-service agents, the shipment had gone to her old address in Joliet, Illinois. She didn’t yell or document her experience on Yelp or Twitter. Ferro, 34, did what came naturally: She took her business elsewhere — to Wander Beauty, an online makeup seller that has put a premium on customer service by enlisting chatbots she can talk with whenever and wherever she wants. During the recent five-day shopping frenzy that runs every year from Thanksgiving through Black Friday and Cyber Monday, so-called bounce rates, when a shopper abandons a web store — sometimes even after loading up their cart with goodies — increased each day, according to Monetate, which monitors commerce on desktops and mobile devices. All those bouncers offset some of the gains retailers made in attracting more consumers to their websites. On Thanksgiving, a big mobile shopping day, bounce rates increased 12 percent compared with 2017, according to Monetate. 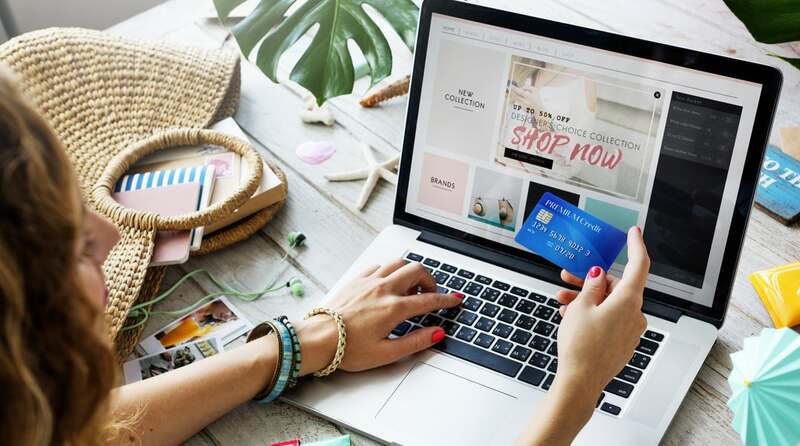 Consumers are fickle creatures and abandon brands for any number of reasons, from late deliveries to damaged merchandise.Aware that one bad experience can turn a shopper against them forever, retailers are spending hundreds of millions of dollars to improve service and keep customers loyal. Some are testing new “Customer 360” software from Salesforce.com and upstart rival Freshworks that lets them build a Facebook-style profile of each shopper, the better to understand what they want and how to keep them happy and clicking “pay.” Chatbots are increasingly ubiquitous and getting better at holding a meaningful conversation with customers. And behind the scenes retailers are training customer-support people to act more like traditional salespeople with the expertise once available only at top brick-and-mortar establishments. As always, Amazon.com Inc. looms over the industry. The world’s largest online retailer may be taking its lumps these days for its hiring or headquarters-hunting practices, but Amazon customers by and large stay loyal thanks to the company’s Prime subscription, free shipping and peerless customer service. Sure there are complaints about the occasional delayed shipment or unscrupulous third-party merchant, but the Seattle leviathan remains the industry benchmark. Once your cellphone number pops up on a service agent’s screen, they’ll have an immediate history of your relationship with the brand: every purchase you’ve made, every product you’ve returned, every advertisement you’ve clicked on and every item you’ve tossed out of your basket before checkout. You will no longer have to spell out your surname, dig through your email to find your order number or try to recall the last purchase you made — it will all be at the agent’s fingertips. “Every customer hates it when they have to repeat themselves,” says Freshworks chief executive Girish Mathrubootham. He started Freshworks after spending months tangling with a shipping company when his 40-inch Samsung television was smashed on route to Chennai, India, when he moved back there from Austin, Texas. Freshworks software can help retailers suggest new items and offer discounts on products, based on a customer’s previous shopping behaviour. The company says it has more than 150,000 global clients, including Hugo Boss, Bridgestone and HP. Shoppers are increasingly comfortable buying big-ticket items online, from dining sets to kitchen appliances. The last thing a retailer wants is for someone to bounce after putting thousands of dollars worth of purchases in their cart. Build.com, a home improvement web store based in Chico, California, has built a 300-person team of project experts who help customers navigate the bewildering array of brands and products listed on the site. Wheeler says project experts undergo six weeks of training and 100 hours of online tutorials before picking up their headsets. Paid on commission and expected to hit monthly sales targets, they manage an entire purchase, offering advice and researching any questions a customer might have about a specific appliance, faucet or light fixture. Cameron Ellingsen, a project expert for four years, says he has considerable autonomy but avoids the hard sell and focuses on helping customers find what they want. “I’m here to walk them through their entire project,” he says. One of the cheapest ways retailers can improve online service is to enlist chatbots, often via Facebook, Instagram or Slack. These digital helpmates have steadily improved in the last few years thanks to machine learning algorithms that have become better at carrying on human-like conversations and even anticipating customers’ needs. When a shopper opens the Wander Beauty website, a chatbot will automatically ask for the person’s skin tone. If they open the message, the conversation will continue in Facebook Messenger until it gets too technical — a request for a moisturiser with high SPF levels, say, or makeup that won’t exacerbate a skin condition — and a human customer service agent will take it from there, suggesting specific products and how they work together. Some people find chatbots creepy and their hovering presence invasive. But many shoppers have become used to them much the way most of us would rather use an ATM than deal with a human teller. Chat-based marketing via Facebook lets retailers communicate with customers in the channels they inhabit 24/7, says Caroline Klatt, who runs Headliner Labs, a startup offering this service to Wander Beauty and other retailers. “This is going to expand the help desk from only waiting for inbound customer complaints to enabling them to do more than that,” she says.